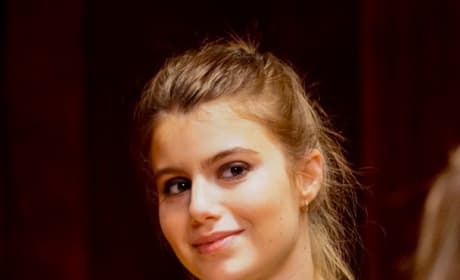 Nicky smiles about something during the Reagan family dinner on Blue Bloods Season 9 Episode 13. Eddie (Vanessa Ray) shows off her bridal gown as she exits a dressing room on Blue Bloods Season 9 Episode 13. Eddie (Vanessa Ray) checks out how she looks in the wedding dress she's picked out on Blue Bloods Season 9 Episode 13. 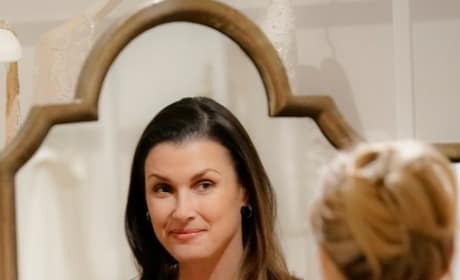 On Blue Bloods Season 9 Episode 13, Eddie (Vanessa Ray) gets an opinion from Erin (Bridget Moynahan) about the wedding dress she's trying on. 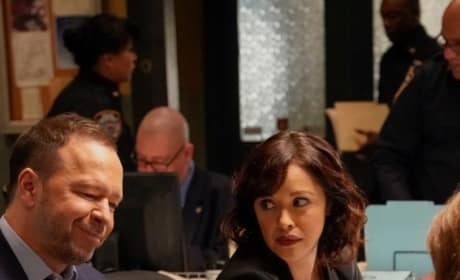 Jamie (Will Estes) doesn't mind some good-natured teasing from Danny (Donnie Wahlberg) on Blue Bloods Season 9 Episode 13, though Eddie might not be so happy. 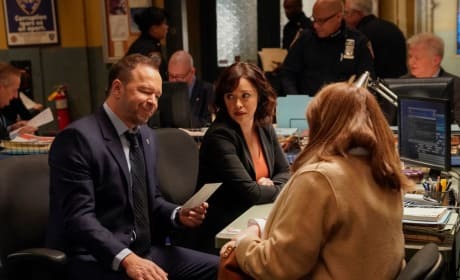 Danny (Donnie Wahlberg) raises his coffee cup happily while sitting at dinner on Blue Bloods Season 9 Episode 13. 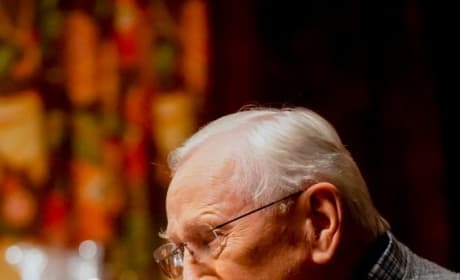 Henry (Len Cariou) makes a point at the Reagan family dinner during Blue Bloods Season 9 Episode 13. Erin and Nicky go dress shopping with Eddie on Blue Bloods. "Ripple Effect" is the 13th episode of the show's ninth season.